Buying a motorbike and getting on the road is an expensive business and one that needs to be properly budgeted. Whatever bike you decide to purchase, it is a legal requirement for it to be insured so make sure you leave a suitable amount of money to one side to cover this. You should always shop around to find the best and cheapest insurance quotes available – The Bike Insurer is the best place for that – and you can check the potential insurance quotes for a motorbike you haven’t purchased yet. The difference in price between a 16 year olds and a 17 year olds policy on the same motorbike is between £20 and £30. The price difference between a 16 year old and a 24 year old on the same bike can be as much as £250. 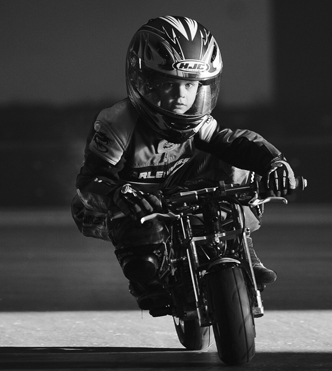 The general rule is the younger you are, the more you will pay on your motorcycle insurance however there are a number of other factors that will also affect your insurance premium. Where your bike is kept is one of the most important factors to take into consideration when getting a quote for your moped or motorbike. If you live in a city then your insurance policy could be double the price of what it would be if you lived in a rural area. The reason for this is because there is more vehicle crime in a city then there is in a rural area, which means the risk to your moped or motorcycle is higher. Similarly, the place you store and keep your motorbike will also impact upon your insurance premium. If you have the option of parking on a driveway or in a garage overnight, take it – it will reduce your insurance premium. The usage of your motorcycle can change the cost of your insurance premium dramatically. If you’re using it for business use, you will pay more than for Social and Domestic only, this is due to travelling at busier times of the day and being deemed more at risk by insurance providers. If you do not use your motorbike for business use, don’t put it down on your policy. The same applies for your annual mileage as well; the more miles you cover annually, the higher your insurance premium will be, as you will be using the vehicle more. The price difference won’t be that much but there is still a difference. 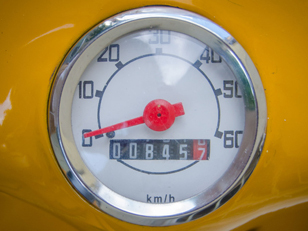 If you choose to go with a top of the range moped or motorbike, then your policy is going to be considerably more expensive than a mid-range one. Generally the more expensive the bike, the more expensive your insurance will be. You should also consider the design, if the moped or motorbike is very “flashy” then it could be more expensive to insure as it’s deemed more attractive to potential thieves. When looking for motorbike insurance it is tempting to bend the truth in order to lower your insurance costs. While lying about your mileage or where you park your motorbike may cut your insurance premium slightly, if you are caught out your insurance could be deemed as void, which, in the event of an accident, could result in you paying out for damages rather than your insurer. Remember that as a learner rider you must have Learner plates attached to your motorcycle or moped. If you crash your bike and don’t have Learner plates on, then you will not be covered for any damage what so ever. You will also be riding illegally and could lose your licence if caught. Next page: How does my No Claims Bonus work?